Wednesday, black students were feared for their lives. When Amy Simmons a journalism teacher arrived in her class, only 4 students out 24 were present. This was the consequence of several racial threats made by a 19-year-old white man on social media towards black students. 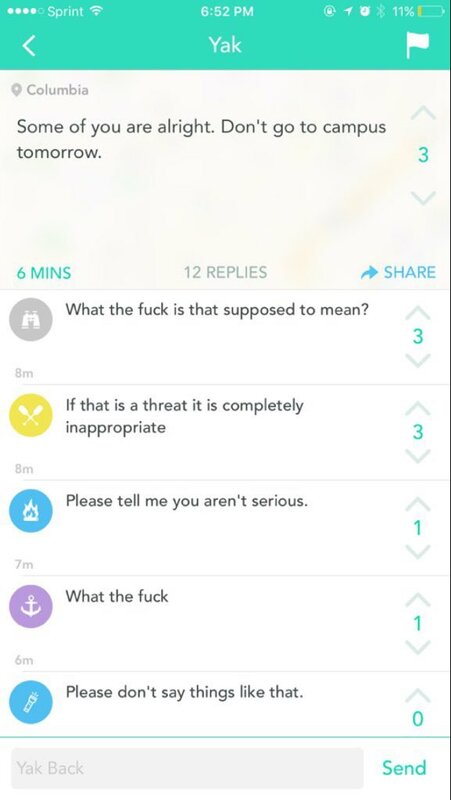 The threats were leaked on Twitter under the hashtag #Mizzou. Some of those messages advised black people to stay safe at home while some others told them to be prepared to get killed. In a very quick way, the authorities published a wanted notice on the institution’s website without giving too many details. It has now been confirmed that Hunter Park, a 19-year-old student of the Misouri University, was the author of the threats. He was arrested in a fraternity house with no guns on him. This wasn’t the first case of racial threats at this institution. Indeed, similar threats have occurred over the past years. A student did a hunger strike to make the University president, Tim Wolfe, resign. He actually did resign on Wednesday evening. This is yet another scandal to tarnish the American administration in regards to the black population. This entry was posted in WORLD and tagged racial threats, University of Misouri. Venezuela: is the Cold War back?